I think new cottages should come with a warning. It’s like an itch that starts around noon on Thursday and turns into a full-on nervous tick come Friday. You’ve gotta get out of these work clothes, out of the city and up to the cottage. It doesn’t end once you get there. In fact, the addiction is just starting. Those lazy days in the sun, swimming off the back of the boat and having dinner on the deck with your family and some friends as the sun goes down … a couple of measly days at the end of every week just don’t cut it. Next, you’re figuring out how you might be able to stretch your summer vacation into working from the cottage for a few days (or weeks if you’re lucky). You don’t want to go back. You dread late Sunday. And before long, you’re dreaming about never going back. As in “every day is Saturday”. And then a new countdown begins. 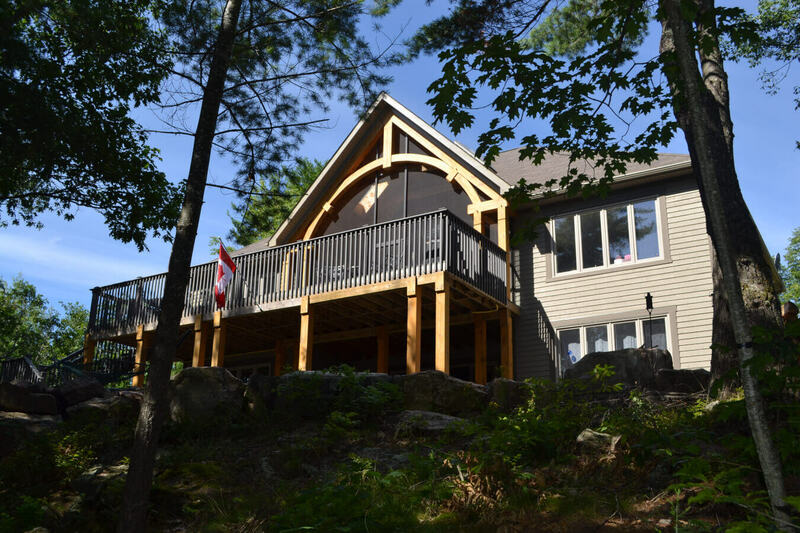 The countdown to making the cottage your home. We’ve seen this story play out over and over again. 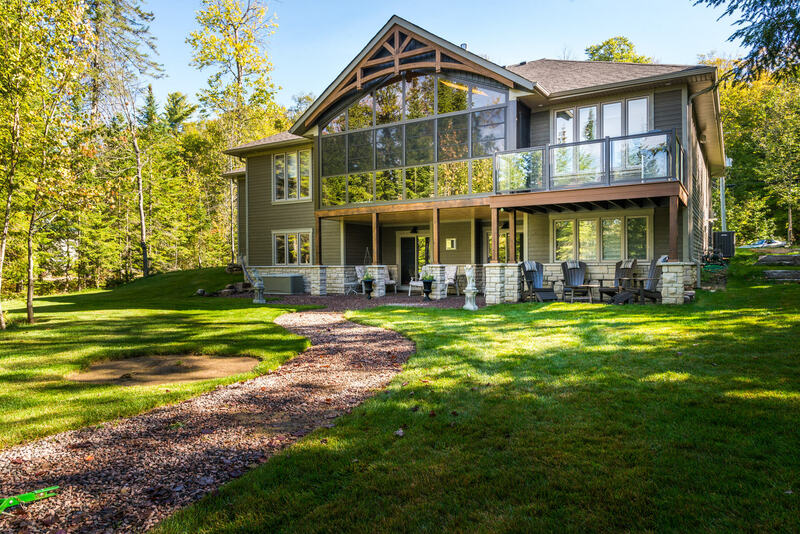 And because we’ve also spent decades building gorgeous homes for active retirees choosing to live in cottage country, we know a thing or two about great floor plans for that stage of your life. 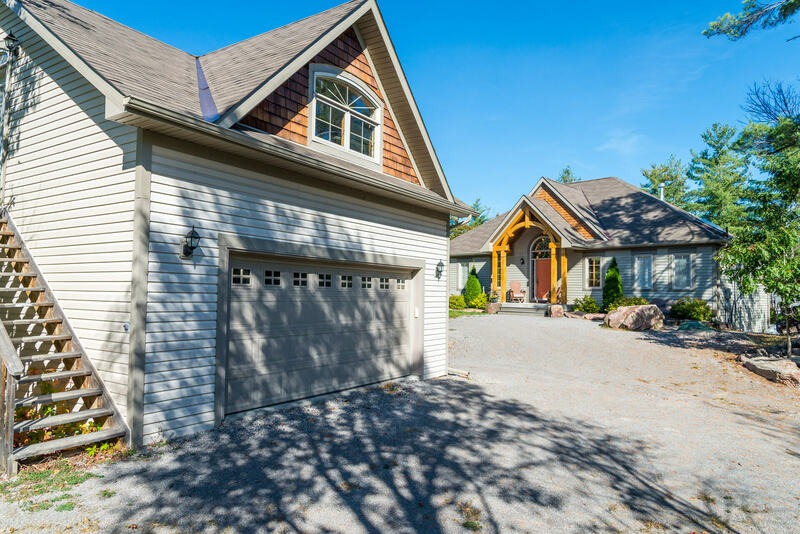 So as we sit down to help our clients create their dream cottage, we help them look a little further down the road because done right and with the right floor plan, today’s cottage just might be home when you retire. Depending on your work and the flexiblity you have, the cottage office might help you transition from working from the cottage to full retirement. And for some, full retirement may never come. So why not have the best of both worlds and plan a room with a view that inspires? You really can have it all. 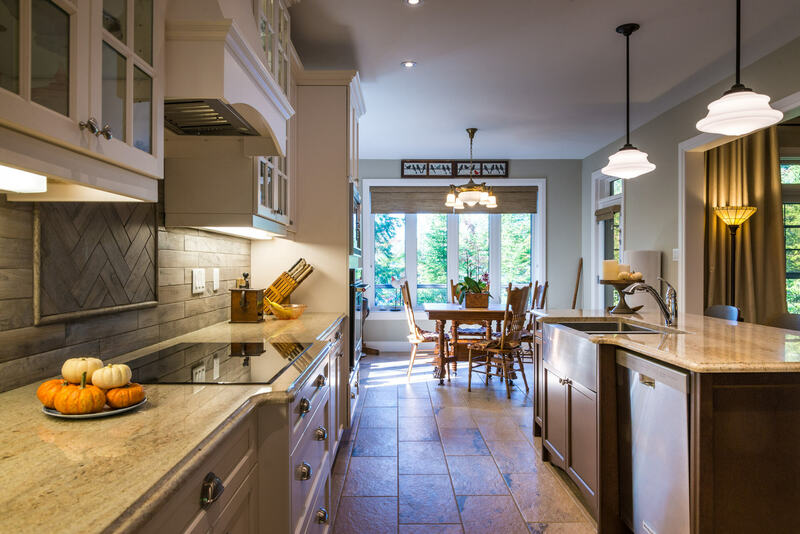 When it comes to designing a cottage you could retire to, first-floor living a must. Placing all of the essentials – like the master suite and laundry room – on the main floor means you’ll be able to skip the stairs and enjoy a cottage that carries you through your senior years with ease. Of course, before you choose a floor plan that accommodates single-level living, you’ll want to ensure your property is accessible year round. 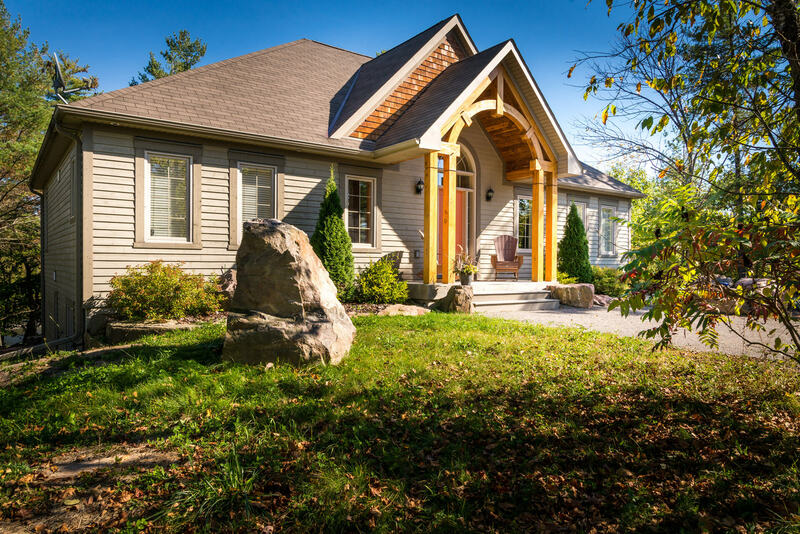 If your cottage will be situated at the end of a twisty, barely-there path, you’ll want to address access issues before building a cottage that’s designed for year-round use. Having all of your necessities on a single floor doesn’t mean friends and family have to crowd into a single level. If your site allows for it (and we find the best cottage sites along the water often do), a walk-out basement can give you the biggest bang for your buck when it comes to adding extra space to your single-level floor pan. Extra bedrooms for guests, a recreational room and utility and storage spaces are all popular uses for walk-out basements in our cottages. 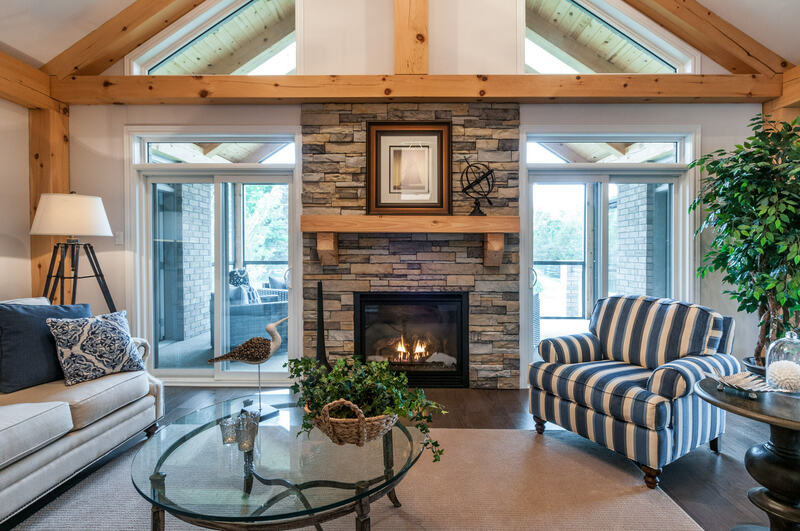 Another one of our clients’ favorite ways to add extra space to a home designed for single-level living is to add a loft into their vaulted ceiling. A loft space can double as a recreation room, media space or office and provide extra sleeping quarters. Plus, it will allow you and your guests to take advantage of gorgeous lake views. Today’s open floor plans readily lend themselves to retirement living. Closed-off rooms that are difficult to access through narrow hallways and twisty turns have given way to wide-open floor plans that combine main gathering areas into a single, large space. While modern, open plans have eliminated unnecessary hallways and doorways, if you would like to ensure wheelchair accessibility, we can expand walkways from their traditional 36 inches to 42 to 48 inches and boost doorway clearance to 36 inches. Ask anyone where the busiest spot in their cottage is, and you’re probably going to hear “kitchen” in response. It’s the heart of the home. And, when a space gets that much use, you want to be doubly sure it’s designed right for ease of use and safety. We’ll give you the opportunity to customize your kitchen from the top down. And, as you do, we’ll make suggestions that will help make your kitchen retirement ready. 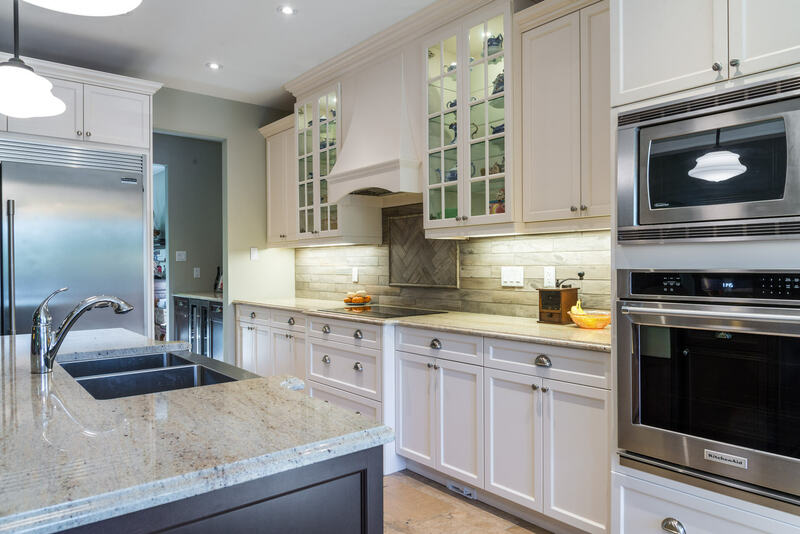 Possible suggestions include multi-level countertops and custom features like pull-out steps and shelves, which can make a significant difference when you get a little older (and we all do). The takeaway? Prepare for the addiction. There’s a good chance today’s cottage will be tomorrow’s dream retirement. With a little foresight, you’ll be enjoying the Sunday sunset as everyone else races back to the city!